Thanks Mark, Tom and Matthew! April 10, 2019 by Nathan Harkrader. Children will learn basic horsemanship skills, including proper grooming, different tack and equipment for riding, care and feeding of the horses as well as riding and leading. The 1/2 day will include a break for lunch as well as craft or game time. Children will be taught by one of our trained Instructors as well as assisted by our supportive volunteers. Children coming to camp with more riding experience will separated into a more advanced lesson group. January 7, 2019 by Nathan Harkrader. Kelsey O'Shay's is hosting Shady Hollow's rain or shine spring fundraiser. This is a Ride or Drive event that is open to people of all ages for family fun! Details: Scavenger Hunting teams can be made up of 2 or more people. At check in each team will receive a list of items that they are to find located in the surrounding area (15 mile radius), the goal is to find and document as many items on the list as possible while staying with your team. After the scavenger hunt, join us back at Kelsey O'Shay's for refreshments (some are provided and more available for purchase). The winner of the hunt will be announced shortly after the last car returns and all points are tallied. Stay tuned for more details. FOOD: Includes a cold lunch meat sandwich or a hot sandwich, garden salad, potato salad, macaroni salad and soda. $400 in Cash Prizes and a 50/50 raffle! A big thank you to our SPONSOR Indian Valley H.O.G. A big thank you to our SPONSOR West Lawn Quoiting Association. And enjoy the lively music by The Usual Suspects! We are excited to kick off our 2nd Annual Giving Tree and Amazon Wishlist festivities this year. Our horses loved it so much last year, they’ve added new items this year. The giving tree can be found in the observation room at the farm and the Amazon Wishlist can be found at http://a.co/3RQImR3. Items ordered from the Wishlist are shipped directly to the farm. -Giving tree items may also be placed in the bin in the observation room (make sure your name is on the ornament and it is attached to your gift). -Monetary donations should be given to an instructor. Checks can be made payable to “SHAR” or you can use PayPal below. 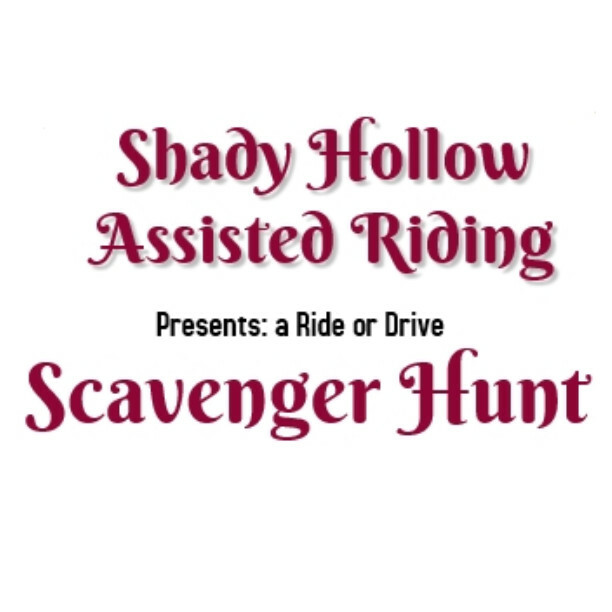 Thank you for thinking of Shady Hollow Assisted Riding this holiday season! November 25, 2018 by Michele Cooper.